Lisle, IL ~ Students and their families won’t be paying higher tuition and fees for the next academic year at Benedictine University’s Mesa campus. At a time when many colleges and universities throughout the country are raising costs, the University announced today that for the second year in a row, its undergraduate tuition and fees will be frozen. According to the College Board, an organization that serves the educational community through research and advocacy on behalf of students, educators and schools, the average cost of tuition for private colleges in the United States increases by 2.4 percent each year. Currently ninety-eight percent of all new BenU students receive financial assistance comprised of scholarships, institutional grants, federal and state grants, student loans, work-study and on-campus employment. For the 2019-20 school year, tuition and fees at the Mesa campus will be $22,400. “We feel this plan is fiscally responsible. It allows us to meet the needs of our students and families and at the same time, enable us to continue to provide an exceptional education at a world-class University,” said Gregory. Delivering a world-class education is something Benedictine University continues to do. US News and World Report and Forbes Magazine recently recognized Benedictine University as a “Best College” and in 2018, 11 BenU programs were honored for their excellence by various educational websites or magazines including the Values-Driven Leadership doctoral degree which was named the top leadership Ph.D. program in the country by HR.com. 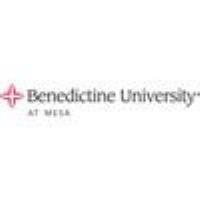 Benedictine University expanded to Mesa in 2014 as the only Catholic University in the state of Arizona. Since that time, enrollment has grown and many students have benefitted from the cooperative opportunities the University has developed with local businesses, nonprofit agencies, and the city government. For more information about enrollment, financial aid or scholarship opportunities, contact the Benedictine University enrollment staff at (602) 888-5500. Benedictine University Mesa is a branch campus of Benedictine University, an independent Roman Catholic institution located in Lisle, IL, just 25 miles west of Chicago. Founded in 1887, the University is accredited by the Higher Learning Commission. For more information, contact mesa@ben.edu or visit ben.edu/mesa.